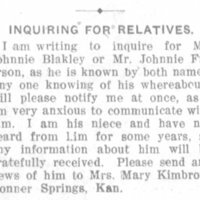 Kimbrow lived in Bonner Springs, Kansas. 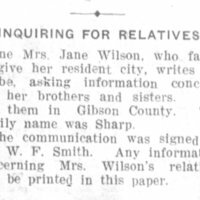 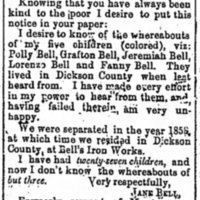 Wilson "left" her siblings in Gibson County, Tennessee. 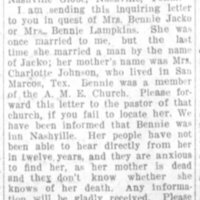 The family name was Sharp.